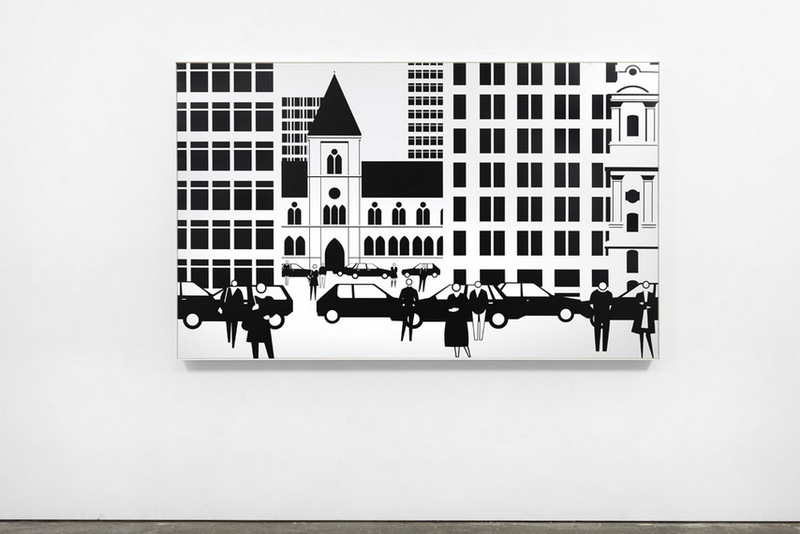 The work of influential British artist Julian Opie has been consistent for several decades largely due to establishing the recognizable style. Minimal and linear, those compositions usually represent everyday sights – humans or animals in movement or their portraits, billboard or pub signs, buildings, etc. By examining his personal experience, Opie is dealing not only with the transience of the moment or its meaning, more importantly, the artist is critically dissecting socially moderated patterns of behavior and thinking. In addition to that, an oeuvre of his represents a fine example of art practice which tries still to stay visually daring by encompassing contemporary moment with popular culture and traditional art. Julian Opie was born in London in 1958 and raised in Oxford. He graduated in 1983 from Goldsmiths, University of London, where he was taught by conceptual artist and painter Michael Craig-Martin. After the end of studies, he started exhibiting with artists like Tony Cragg, Richard Deacon and Anish Kapoor. Mainly they, as well as a couple of other artists, were gathered around the Lisson Gallery, and their work became known as New British Sculpture. A synthesis of pop and kitsch, focus on producing bricolages out of objects from an urban environment and waste, humor and wit were some of the main subjects prevailing in their works. In his early works, Opie was focused on steel sculptures, almost architectural structures, and abstract, geometrical shapes. 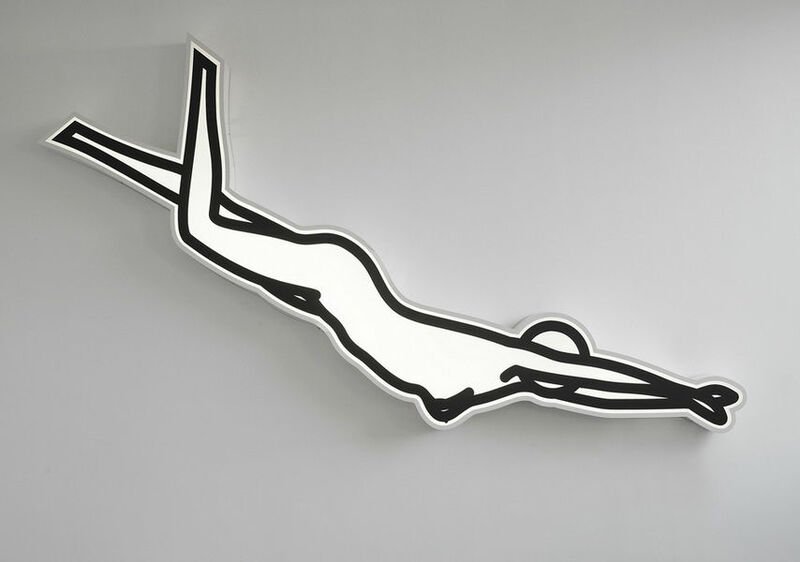 Obviously influenced, on one side, by the Minimal and on the other by Pop art, he started to shape his distinct aesthetics by purifying the compositions, cleaning them from any sufficient detail and realizing them through installations, prints, and sculpture in the extended field. That is how Opie developed simple linear comic book look like forms and reduced colored areas, which then became his signifier. Fixation with portraits remained present until nowadays, as well as before mentioned references to art history, only the technological process has changed. 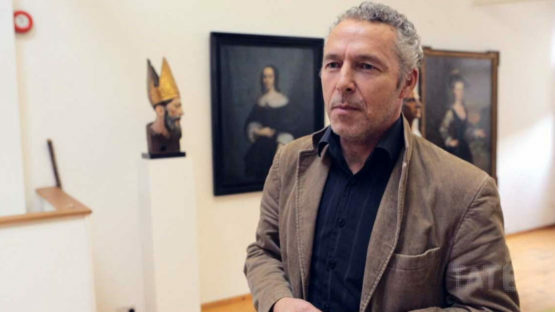 Through the years the artist has become active with other media, especially in graphic art and digital art, respectively LED projections and animations. 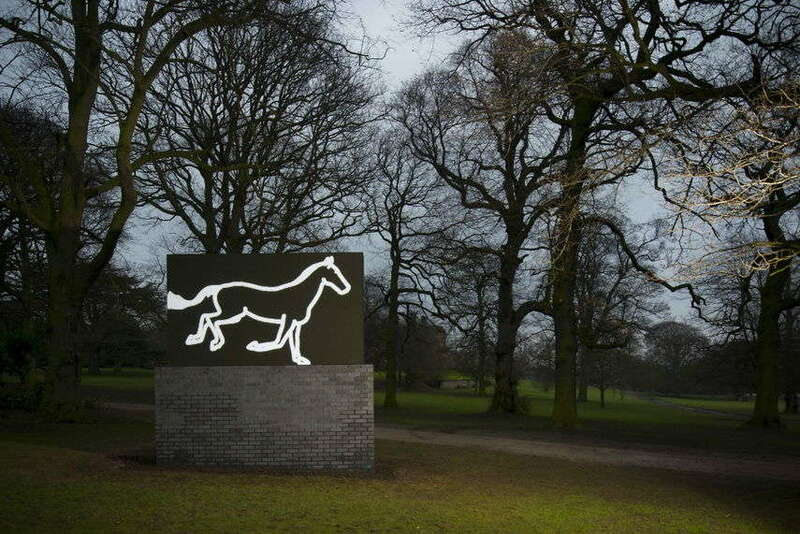 Public art of Julian Opie is spread around the globe, from continuous animations on LCD screens such as Suzanne Walking (2002) in Dublin or Galloping Horse (2012) in Yorkshire Park, or installation Public collections, including the Tate Gallery in London, the National Museum of Art in Osaka, and the Museum of Modern Art in New York poses Opie’s works from different periods.Besides the institutional frame, he has been collaborating with the famous pop band Blur, creating the cover for their Best of the album, and with a rock star Bryan Adams. Nevertheless, Opie’s art does not suffer from agenda of obtaining successful career by pure mechanical production, yet the works he produces are full of wit, humor and innovation.